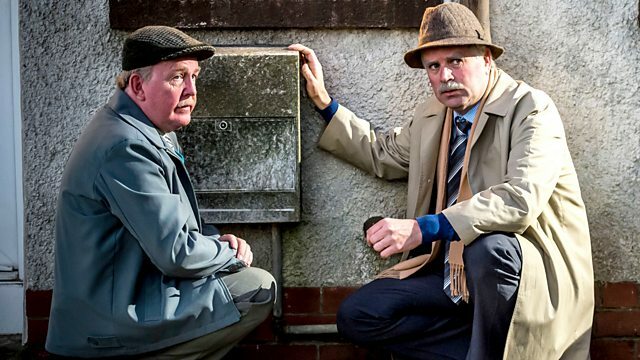 Still Game Back On The BBC Friday Nights. Its great to see this brilliant comedy series back after 9 years away. The first episode was really funny but the second episode (The Undrinkables ) broadcast on Friday watched here yesterday twice was side splitting at times. I've not laughed so much in ages. Re: Still Game Back On The BBC Friday Nights. The JFK open top model car was absolute Genius. Thanks for the tour fridge magnet. Hope tonights episode is as funny as last weeks. The CCTV works there's the bogus delivery man bringing it. Most welcome mate got to have a laugh. They are playing live in Edinburgh again. If i lived up there, I would go because its so much fun laughing to the point you cant breath. Best episode this series so far. Steven wrote: Brilliant Jim !! Absolute class I'm surprised so many get it. Pound Tan made me laugh.